Matthew Wadsworth commissioned Steve’s Theorbo Concerto through the Hong Kong Academy of Performing Arts, the North York Moors Festival, and Arts Council England. Performances have taken place in Hong Kong, the UK, the Netherlands, and a tour with the Scottish Chamber Orchestra. The SCO recorded the concerto on 31st July. The recording was released on the Deux-Elles label on 4th March 2019. Still Life is a celebration of the life and work of abstract expressionist Clyfford Still. Its seven movements explore Still’s passion for jazz, Beethoven, and William Blake. The piece was commissioned by the Patterson Sutton Duo who will be giving the premiere. The Koblenz Concerto for two guitars and orchestra will receive its premiere on 7th June 2019. SoloDuo (Lorenzo Micheli and Matteo Mela) will be the soloists with the Staatorchester Rheinische Philharmonie at the Koblenz International Guitar Festival. Cinema Paradiso was commissioned by Guitar CoOp for Zoran Dukić, who gave the first performance at the Koblenz International Guitar Festival on 3rd June 2017. The piece has been performed widely and will feature in Zoran’s recital at the Guitar Foundation of America Convention in Miami in June 2019. The piece is based on films by Quentin Tarantino, Wim Wenders, Lars von Trier, Francois Truffaut, and Charlie Chaplin. 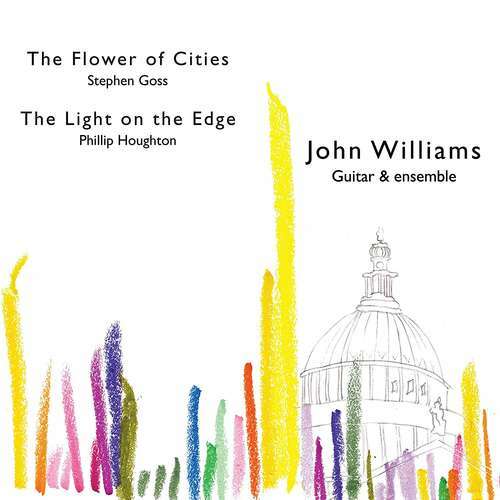 The Flower of Cities was commissioned by John Williams for the 50th Anniversary of the City of London Festival. The recording features John Williams and Craig Ogden – guitars, Max Baillee – violin, Laurence Ungless – double bass, and Timothy Evans – percussion. Thomas Carroll was conducting and the recording was engineered and produced by Stewart French. Commissioned through Jamie Nix and Andrew Zohn at CSU, Georgia, this concerto for guitar and wind orchestra is funded by a consortium of 13 wind orchestras form across the USA. The first performance took place in Columbus, Georgia on 28th September 2017. Subsequent performances by the other members of the consortium take place throughout the 2017/18 and 18/19 seasons. 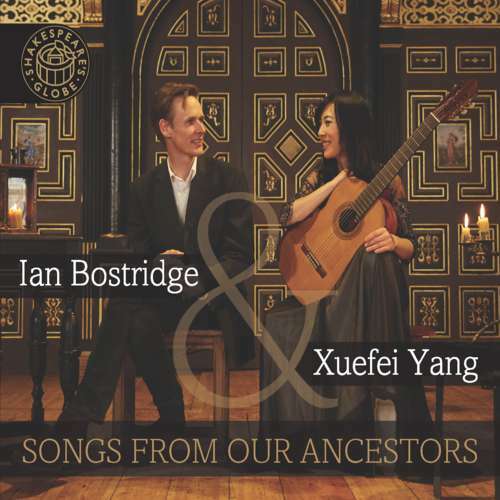 Ian Bostridge and Xuefei Yang’s recording of The Book of Songs has received excellent reviews in The Financial Times, Gramophone Magazine and BBC Music Magazine (where it received 5 Stars for both performance and recording). The CD ‘Songs from our Ancestors’ was the first to be released on the new Globe Music label.